Anticipation for the video of this DG Mayne produced track has been building over the past couple months and now it’s finally here. The Brooklyn MC, L.I.V.E.Wire hits you with his signature machine gun flow and recruits a feature from “One quarter of the Slaughter” Joe Budden over the siren laden, bass-driven beat from 518′s own producer, DG Mayne. Check it out below. This entry was posted on March 26, 2012. 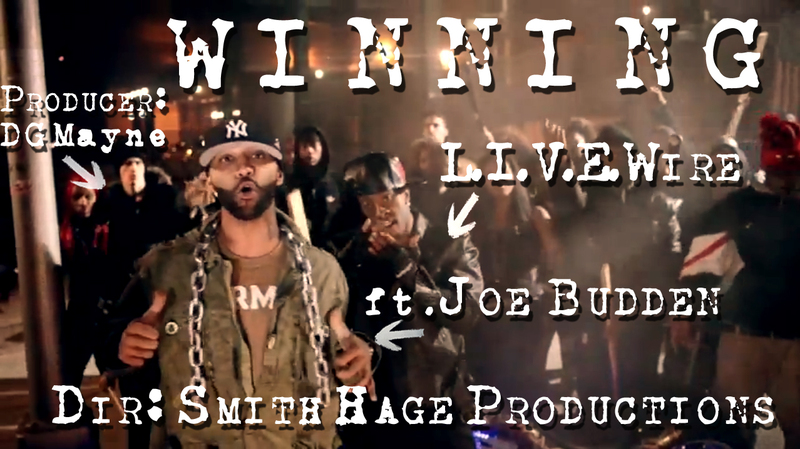 It was filed under Music, Videos and was tagged with Brooklyn, DG Mayne, DG Productions, Joe Budden, L.I.V.E.Wire, Livewire, NY, Winning.